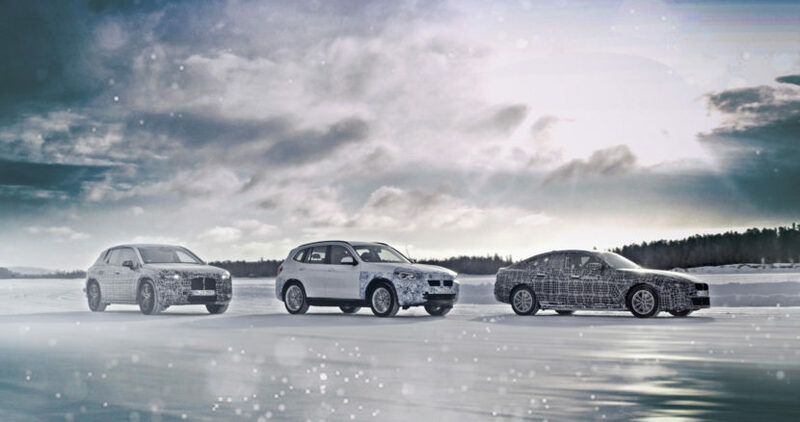 These are the three fully-electric vehicles that BMW is currently working on, the ones closest to release; the BMW i4, iX3 and iNEXT. While their releases are still quite far away, they are the closest we’ve got to proper EV Bimmers. And right now, they’re currently doing some testing in the snow. BMW’s test facility in Arjeplog, Sweden is a vast frozen tundra designed to put batteries, electric motors and charging capabilities to the test. But in temperatures well below freezing, it’s not just batteries and motors being tested. 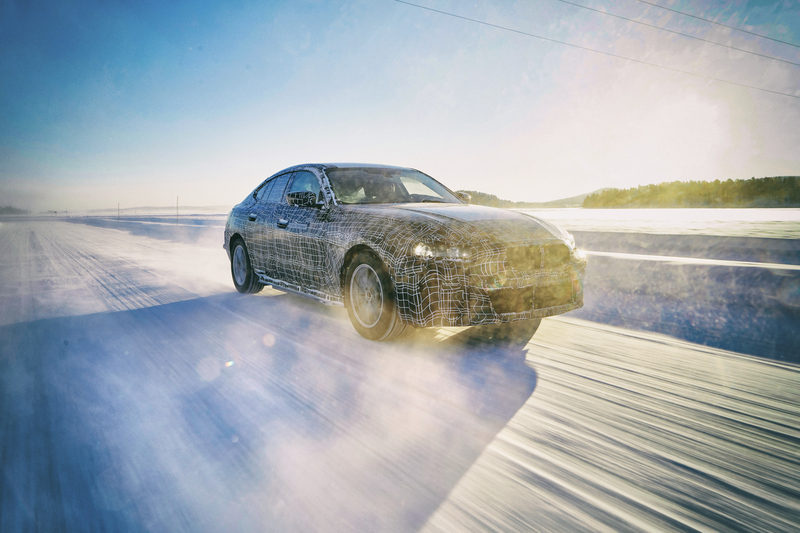 Even simple, common bits such as suspension components, brakes and electronics are tested in the brutal conditions. Though, it’s really all about BMW’s latest electric powertrain. 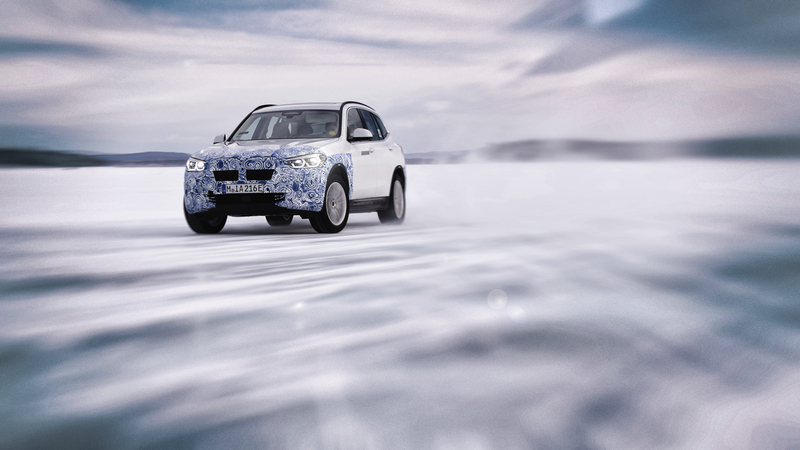 Of the three cars, the BMW iX3 will be the first of the three to debut and it will feature the brand’s new fifth-gen eDrive technology, as the first BMW production vehicle to do so. The Bavarians are claiming about 400 km (248 miles) of range and 150 kW charging. Those are the same figures as the Audi e-tron but better than the Jaguar I-Pace and the Tesla Model X 70D. As for the BMW i4, it will also feature the new fifth-gen EV powertrain but, thanks to its lighter weight and smaller size, it will have a better range. 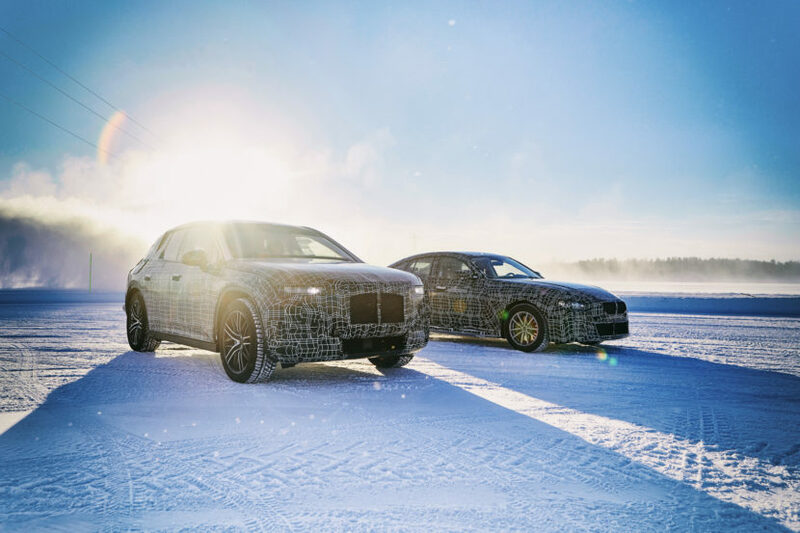 According to the Bavarians, the BMW i4 will have over 600 km (372 miles) of range, which would be industry-leading at the moment, though we can’t say that will stand by the time it finally debuts. BMW also claims a 0-100 km (62 mph) time of around 4 seconds for the i4 and it’s being developed to be fun and sporty to drive as well. The BMW iNEXT will have the same range as the BMW i4 but will likely be slower due to its extra mass. However, the iNEXT will be focused more on autonomy than anything else. So it will have an advanced Level 3 autonomous driving system and be the brand’s technological flagship. It must be said that all of BMW’s range figures have already been calculated on the WLTP cycle, so they should be quite accurate. It’s not just BMW blowing smoke. While BMW might be a bit late to the EV game, with some of its much smaller competitors already having debuted fully EV SUVs, it seems as if these three will be quite good and very competitive the moment they launch. We’re excited to see what becomes of them when we can see them, and drive them, without camouflage.